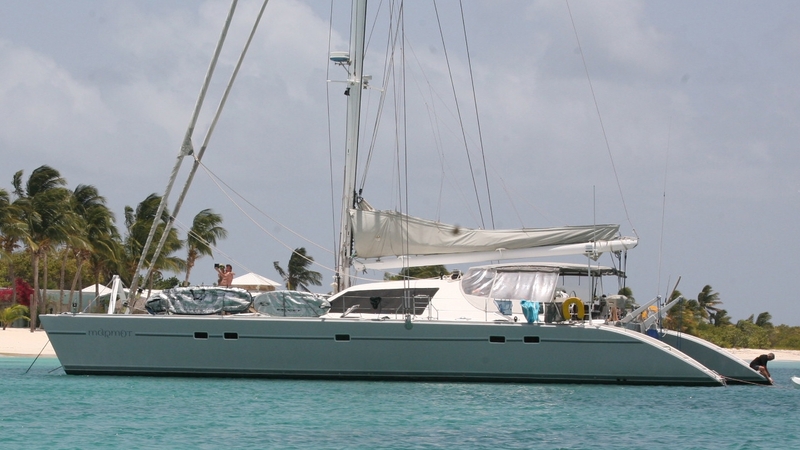 Spain Yacht Charters – It is easy to get to your Spain yacht charter. Mallorca has its own International airport, minutes away from the capital city of Palma. European flights to Mallorca are frequent throughout the year and direct flights to Mallorca from any European airport are possible. Therefore, flights from outside Europe arriving in any European airport can get a transfer onto a direct flight to Mallorca. For example, Spainair operate 6 days a week from Washington DC to Mallorca with a transfer in Madrid. Approximate flight time from Washington DC to Mallorca: 8 hours. PALMA DE MALLORCA – Palma is the capital city of the Balearic Islands. It is an exciting, colourful city, which has kept a balance between the traditional and the modern. The cultural range is expansive, from the gothic style Cathedral, to the Arab baths in the cities old quarter, the museums, art galleries and continuous festivals will certainly keep you entertained. Palma also reveals itself as a modern and avant-garde city, a center for International business and commerce, shopping and dining. PORT D ´ANDRATX – Port Andrax is located offers a view of one of the most beautiful scenes on the blue horizon, wrapped in lilac and rose hues. The small sandy coves surround a deep blue sea that’s a reminder of the waters populated by Moorish pirates. Just outside the Port lie the islands of Dragonera – today a National Park. The port is a trip to yesteryear dotted with fishermen’s nets full of a silvery catch. 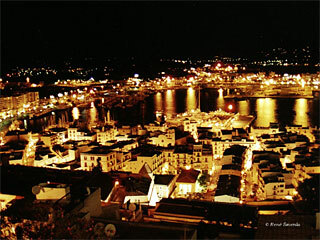 Yet, its stylish boutiques, cafes and tapas bars along the boulevard give the Port a certain ambiance and sophistication. Upon collection at Aeroport Palma de Mallorca, your cab will drive you to the base at the charming old fishing village of Port d ´Andratx. Here you can unwind on your Yacht and savour some tapas and sangria, whilst chatting about your week´s itinerary. By mid afternoon, you will set off on a short sail to the Island of Sa Drogonera, which is stretched out in the water like a lizard basking in the sun. Opt to do just that or for the more energetic, take a dive or snorkel in the dazzling blue water and explore some of the hidden coves. As you venture back to the Port, watch the outstanding beautiful sunset and relax whilst your hostess prepares one of her tantalising dishes for dinner. After dinner, take a walk along the quay and up to Sa Mola, which is an exclusive area favouredby well-known personalities from the world of politics, art and the aristocracy. Visit the 16th century watch tower, which warned locals of the pirate raids or for the night owls among us, Tims bar is a favourite watering hole for the boating crowd. After a wholesome breakfast, take a morning coastal sail East to the beautiful secluded little cove known as Portals Vells. Its quiet, relatively uncrowded beach, contrasts with the bustle and activity of the beaches which you will pass by, which makes it a perfect place for those who wish to get away from a crowd. Its turquoise waters and aromatic pine clad hills provide the perfect setting for a lunch time BBQ on your yacht. 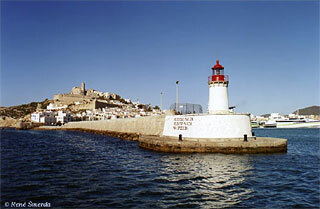 After lunch, a one hour sail takes you to the “ Beverely Hills” harbour of Puerto Portals. Here you can take a dinghy trip ashore and view some of the most exclusive motor yachts in the Mediterranean. 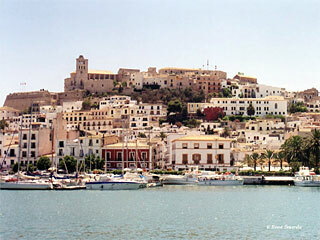 Remember to take your pennies ashore, as Puerto Portals boasts a vast array of exclusive designer shops and café bars! Aboard your yacht before sundowners, for your final journey to the capital city of Palma. Spend the morning enjoying the colourful city of Palma. Visit the impressive 14th century Gothic Cathedral, which rises above the ancient walls of Palma and view the Arab baths. Walk the famous flower selling promenade named La Rambla, and shop till you drop on the Avinguada Juame III, Palma´s elegant avenue lined with chic boutiques and quaint old chocolate shops. Alternatively, try a mornings round of golf on one of the highly acclaimed 22 golf courses on the island. Return back to your yacht for a spot of lunch, before heading off for an afternoon sail toward Es Trenc. 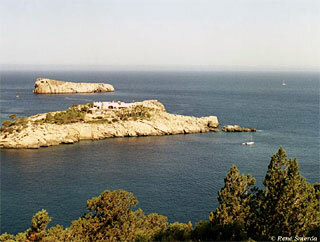 Pass by the nature reserve island of Cabrera and anchor off in Mallorca´s most famous beach, Es Trenc. Wake up to the most beautiful aqua blue waters in the Mediterranean and take a refreshing swim before breakfast. Follow the coast on a morning sail to Cala d´Or, one of the most outstanding coves in Mallorca – a natural port which cuts into the coast like an estuary. Here you can take a coffee at one of the many cafes which line this exclusive harbour. After lunch, sail to Porto Cristo – the home of the Caves! The caves are short walk away from the lively Porto Cristo harbour and are well worth a visit. Inside you can admire Martel lake, one of the largest underground lakes in the world. There, concerts of classical music are performed daily. From Porto Cristo, take a sail further around the island. The whole coast here is dotted with coves and alternating beaches overlooked by pine woods and is perfect for anchorage. Choose a cove to stop for a while and get into some watersports. The area is perfect for water skiing or wakeboarding as the waters are relatively quiet. By mid afternoon, your journey should bring you to Pollencaand formentor. . The countryside between Port de Pollenca and Formentor is unforgettable – It is the most scenic spot on Mallorca. Take a stroll around the artistic town of Pollenca and visit the interesting treasure gallery and austere convent. If you are here in August, the International Music festival is held within the convent, which is spectacular! Remember to take some photos before descending down the mountain to ajoin your yacht for an evening at the exclusive tiny island of Cap de formentor. Sail to Sa Calobra and view some of the most staggering wild landscapes. Take your yacht into the mouth of Sa Colabra and admire the Torrent de Pareis, a 4 km descending twisting road known as the tie knot. The torrent joins the sea between two colossal bare rocks and its course carves out a deep gully whose depth varies between 300 and 400 metres. After lunch, sail to Port SÖller and view the modernist architecture of the parish church or take a tram ride up to the town of Soller from the port. Take an evening stroll along the beach before fine dinning aboard your yacht. A morning sail takes you along the caost to Deia. Anchor off in a small secluded cala at the tip of the famous actor, Michael Douglas´s house. Deia is surrounded by wonderful scenery, its stone houses nestling in a valley, and its steep streets lined with well tended gardens and olive groves. Deia has a lovely cove, and its small beach, although not sandy, is bathed by beautifully clean water and is fantastic for snorkelling. 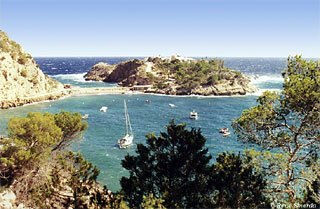 After exploring Deia, aboard your yacht for the final leg of the journey back to the Voyage base at Port d ´Andratx. For some last minute shopping, visit Santa Catarina vineyard for some wine tasting and purchase some local wine to experience the Viva Espana at home!